GIVE THE GIFT OF CHRISTMAS SPONSORSHIP! Hope Ministries Uganda:USA has partnered with Hope Ministries Uganda and Pastor Gerald Tugume to help bring awareness to the Batwa Tribe located in the southwest corner of Uganda; to proclaim and demonstrate the life-changing Gospel of Jesus Christ by helping to meet the spiritual, physical, and emotional needs of the Batwa men, women and children who have been displaced due to becoming conservation refugees. Our vision is to bring lasting hope to this people group through a holistic approach. The bigger vision is that we will move towards self-sufficiency as we provide education, vocational training, agricultural training, medical care, nutritious food program, working with the government to bring awareness of the Batwa tribe, and most importantly seeking to build the Kingdom of God by helping the individuals and families we serve in rural Uganda, Africa, to find a living relationship with God through Jesus Christ. Who Willl Rise Up was written by 17 year old music artist Hannah Marie and it is from her new album Rise (to be released fall 2016). The song was written as a challenge to rise up and be love for the Batwa tribe in south west Uganda. 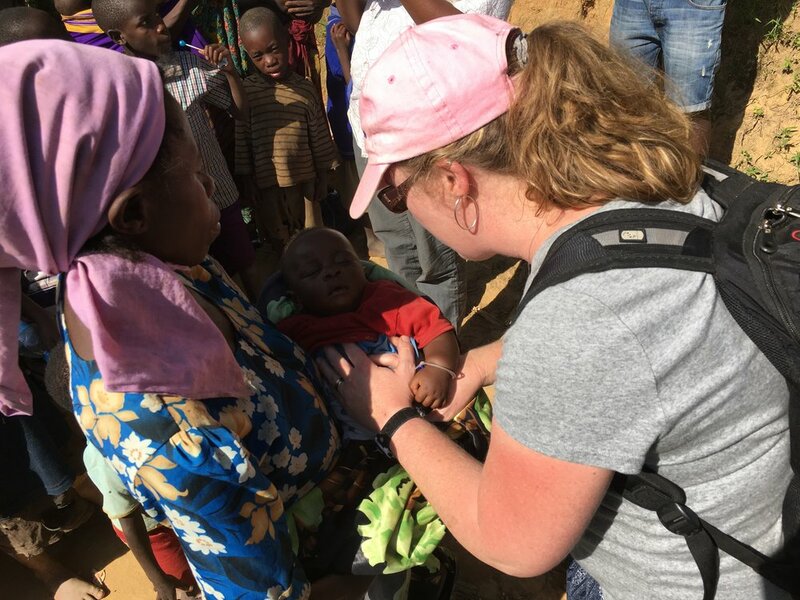 Hannah has grown to love the Batwa children and her heart pours out with both passion and compassion for the future of these children. 90 year old Batwa woman sits with her grandson on the rain forest edge as she remembers and longs to go home. The Batwa are a pygmy tribe located in the southwest corner of Uganda. They are conservation refugees. They were evicted from their rain forest home so that the Bwindi Impenetrable Forest could be made into a World Heritage Site to protect the 350 endangered mountain gorillas. The land they moved to was without a forest and was foreign to them. As one of the oldest documented tribes in Africa, thousands of years of living as the "Keepers of the Forest" changed to becoming "land squatters" and "living scarecrows". Extreme poverty. The Batwa often share how when they lived in the rain forest they were never hungry, never sick, never lacking. Life has changed. Who will rise up? Not everyone can go to Uganda to serve, but you can still be a part of the bigger picture of what we are doing with Hope Ministries Uganda. We need support to make this God sized dream a reality and we know that God will raise up people to be His hands and feet. Through your involvement in this ministry, lives will be REDEEMED, RESTORED, REBUILT, AND RAISED UP. Through your prayers, financial donations, and volunteering, we can together raise up a new generation that will be filled with HOPE.